If you have insurance coverage, give notice of the loss immediately to your insurance company or the insurer's agent/company. Insurance policies require policyholders to file their insurance claims as soon as pssible. 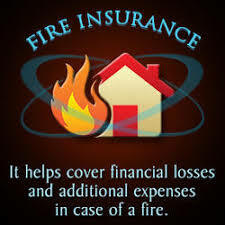 Call your agent immediately to advise them of the fire and to get the process started. The insurance will require you to submit a 'proof of loss claim". Ask the insurance company what to do about the immediate needs of the dwelling, such as covering doors, windows, and other exposed areas, and pumping out water. You may want to take photos and document other important information. Ask your insurance agent/company what actions are required of you. Some policyholders may be required to make an inventory of damaged personal property showing in detail the quantity, description, and the price you paid for the items.